The US is withholding $65m instalment destined for the UN relief agency for the Palestinians, following the rejection by the Palestinians to accept Jerusalem as the capital of Israel. It will provide $60 million in aid to the UN Relief and Works Agency (UNRWA) but will hold back a further $65 million “for future consideration” or until the Palestinians agree and accept Jerusalem as the capital of Israel. President Donald Trump said earlier the US could cut aid if Palestinians rejected peace efforts with Israel, peace efforts that would not include any discussion involving Jerusalem. As the president said earlier this month, Jerusalem is no longer on the table as part of any negotiations. The US funds almost 30% of the UN agency’s work overall and has often withdrawn aid as bargaining chip. Which always comes with conditions. This moves comes after the Palestinian leaders have called on the Palestinian Liberation Organization (PLO) to suspend its recognition of Israel just days after Palestinian Authority President Mahmoud Abbas urged the group to “revise” its agreements with the Jewish state. Abbas is head of the PLO, which formally represents all the Palestinians. The Palestinian leadership as well as the majority of the world has voiced its displeasure at the move and has criticised the US following President Donald Trump’s controversial announcement to recognise Jerusalem as Israel’s capital and relocating the US embassy to Jerusalem. On Sunday, Palestinian President Mahmoud Abbas sharply attacked Mr Trump’s Middle East peace efforts, saying he would not accept any peace plan from the US after it recognised Jerusalem last year as Israel’s capital. And he accused Israel of putting an end to the 1994 Oslo Accords, which began the peace process. A PLO Central Council statement on Monday called on the organization to suspend its recognition of Israel, first affirmed by the Palestinian body in 1993, until Israel recognized the state of Palestine, based on borders that existed before the Six-Day War of 1967. The council also demanded that Israel revoke a decision to annex East Jerusalem and cease settlement activity in the West Bank. The move will have devastating consequences for vulnerable Palestinian refugees across the Middle East, including hundreds of thousands of refugee children in the West Bank and Gaza, Lebanon, Jordan and Syria who depend on the agency for their education. 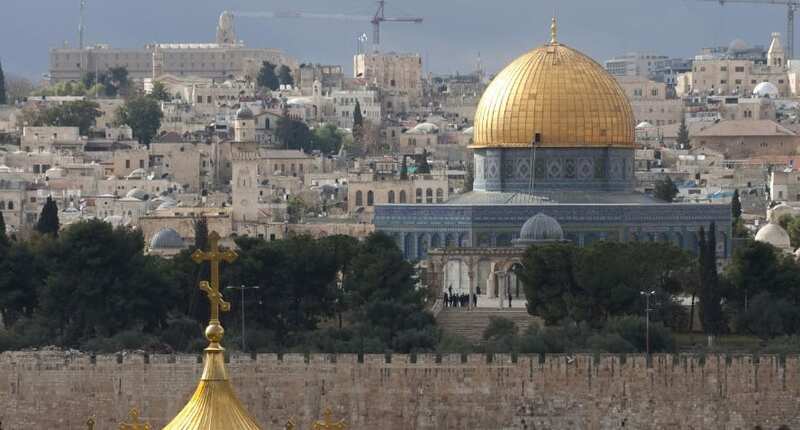 Last week, Israel passed a law late into the night, which makes it very difficult to remove Jerusalem as its capital. Bitcoin & Ethereum both lose value – Is Crypto-bubble bursting!